One Of The Most Haunted Castles In England. Noted as one of the most haunted places in England, Muncaster Castle in Ravenglass-Cumbria has been a hot spot for ghost hunters everywhere in recent years. This particular castle has served as a home to the family of Pennington’s for numerous centuries. As a matter of fact, it seems that the first time that this family lived in the Muncaster Castle was around the 13th century. Since this first occupation of the large castle, there have been numerous stories circulating about the ghosts and paranormal happenings within the walls and grounds of the structure. Here, I will share with you some of the paranormal experiences that have occurred at England’s most haunted castle, the Muncaster. 1. There is an individual that is part of the family, named Patrick Gordon-Duff-Pennington who has experienced many strange events within the walls of the castle. There is one; in particular, that makes him extremely uncomfortable. This generally happens in the winter months, but has also been noted at other times of the year – just not as frequently. This man, when walking to his office, will often hear someone walking in step behind him. 2. A lady by the name of Mary Bragg was said to have lived at the establishment in the early 1800’s. It is said in the year of 1805, she was murdered on the grounds. Many individuals have witnessed what is referred to as the “White Lady” walking the grounds of this most haunted castle in England. It is believed that this particular spirit is the remains of Ms. Bragg. 3. In the past, there was a murder of a carpenter that occurred around the time of the 16th century. This man was beheaded because of the fact that he had fallen in love with a lady by the name of Helwise Pennington. The father of Helwise, Ferdinand, ordered that this man lose his head and then collected it as proof. Many have said that they have witnessed an apparition that does not seem to have a head that walks the grounds and internal structure of this most haunted location. 4. A few people have experienced strange experiences in the “Tapestry Room” of the Muncaster Castle. Individuals who have rested in this room, or simply visited it have been said to hear the distant cries and sadness of a child. In some instances, these individuals have actually seen a child crying, face to face. While many are terrified due to the fact that they are witnessing something paranormal, others are quite concerned for the child. This is often referred to as a “residual” haunting. It is believed that this is not so much of a spirit as it is a recording of a past event. 5. There is a popular haunt that is said to lurk within the castle walls of this most haunted location. The name of this spirit is Thomas Skeleton. This man served in the 16th century as a jester. It was said that he had a cruel, twisted sense of humor that often resulted in endangering and even ending the lives of others. 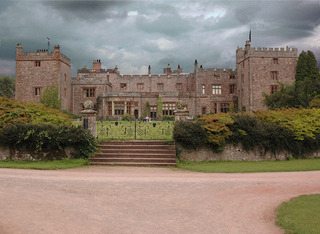 Check their website: www.muncaster.co.uk for overnight ghost hunting.